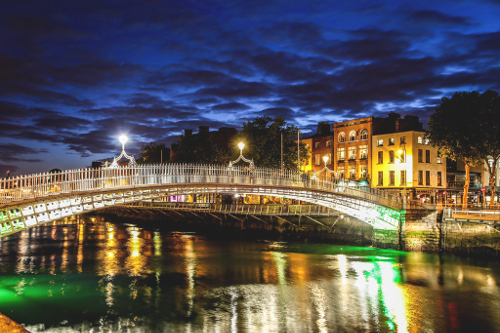 The Association of Internet Researchers is happy to announce that the AoIR2020 conference will be in Dublin, Ireland, 29-31 October 2020. It will be hosted by 3 institutions: Technological University Dublin (TU Dublin), Maynooth University (MU), and University College Dublin (UCD). 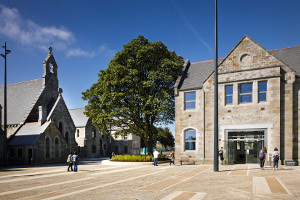 The conference will take place in the newly expanded Grangegorman campus of TU Dublin on the northside of the River Liffey which flows through Dublin’s city. The venue is a short tram ride from the city centre and a short walk from the hipster scene of Stoneybatter/Smithfield as well as the Jameson Whiskey Distillery. Take some time to explore the rich history of Dublin, its justly famous literary culture, and its equally famous relationship with fun and socialising (‘the craic’). Also experience the digital transformation of the city associated with the tech culture based in Dublin’s Silicon Docks, home to significant internet corporations like Google, Facebook, Uber and AirBnB (to name a few). Technological University Dublin is Ireland’s, if not the world’s, youngest university, being inaugurated on Jan 1, 2019. 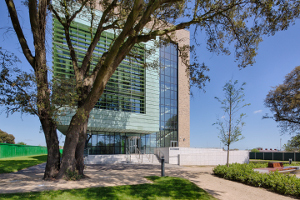 It is the first technological university to be established in Ireland and is an amalgamation of three Dublin-based institutions – Dublin Institute of Technology, Institute of Technology, Blanchardstown, and Institute of Technology, Tallaght. The institution has a history stretching back to 1887 and the School of Media which will host AoIR2020 is Ireland’s oldest media school, established in 1962. The School delivers undergraduate and postgraduate programmes in Creative and Digital Media, Photography, Film, Communications and Journalism, and Games. Maynooth University, located in Co. Kildare to the west of Dublin, is also a young University – founded in 1997 – but shares its campus with St Patrick’s College which was founded in 1795. MU is Ireland’s fastest growing University and your hosts, the Department of Media Studies and the Department of Sociology, have been a part of that expansion. Media Studies offers undergraduate and postgraduate degrees across the breadth of AV and digital media including both practical and theoretical components. Sociology offers theoretical modules related to technology and media at undergraduate level, and the MA (Internet and Society) at postgraduate level.